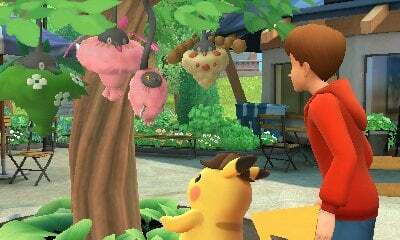 With no solid news as of yet on the Pokémon game(s) destined for Switch, the attention of Pocket Monster fans around the globe will no doubt be falling onto Detective Pikachu, scheduled to release on 3DS later this month. The game, which has already seen a staggered release in Japan, seems to be part of a franchise that the Pokémon Company deeply believes in, with a live action film currently in the works starring some pretty big names indeed. Our preview session gave us a good look at the game’s first three chapters - which made up the full first release in Japan – and our immediate impression from the very first opening cinematic was a pleasantly surprised one. Right from the off, one thing that stands out about this game is that we haven’t seen a Pokémon game quite like it before. Sitting somewhere between the likes of the Pokémon Mystery Dungeon games and the core series, Detective Pikachu gives you a great sense of how humans and Pokémon live together, allowing you to properly see both sides of that dynamic. Detective Pikachu himself is undoubtedly the star of the show. While the initial shock of seeing that cute little mouse we’ve adored for 20 years suddenly turn into a gruff, heavy coffee-drinking sass machine took us slightly off guard, he soon had everyone in the room chuckling away at his little patronising comments. Working alongside Tim, the human hero in the story, the duo seem to click rather nicely together and it is easy to see how a similar pairing could work on the big screen. 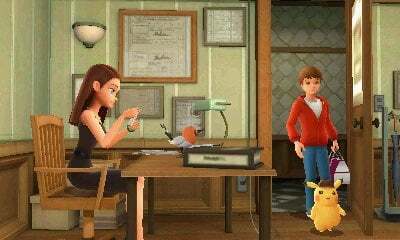 The gameplay itself sees the two tackling cases together, with Tim talking to potential human witnesses and Pikachu talking to other Pokémon. Only Tim can understand what Pikachu is saying, which aside from working as a comedic effect, also feels like it will play a part in the grand scheme of the plot. As you approach a witness you can ask them questions from a menu of options, gathering little nuggets of information that will later be used to crack each case. As you discover more and more info, you’ll also be able to go back and talk to the same people or Pokémon for a second time to ask them new questions based on your latest findings. The bottom screen of the 3DS houses menus that keep all of the information you’ve uncovered safely written down for you; if you forget what someone has said, you can just check back through all of the notes there. 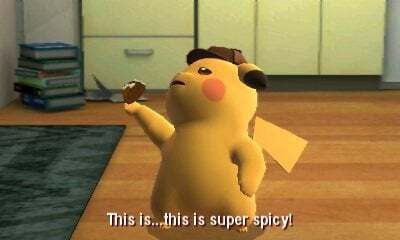 Once you and Pikachu have collected enough information, your electric buddy will prompt you to solve the case, tasking you with remembering what has been said and piecing different bits of the puzzle together. For the most part this is all very standard, easy stuff, but you do have to pay attention to what’s going on unless you want to just guess your way through Pikachu’s quizzes. Aside from this gameplay loop, there are sections that contain quick time events where you have to press the ‘A’ button at the right time to trigger the next cutscene. There is no real penalty for missing these, though, as you’ll usually just be treated to a slightly different scene. The giant Pikachu amiibo that is releasing alongside the game at launch allows you to unlock and watch all of the possible cutscenes in the game, meaning that you won’t have to replay through each section to see all of Pikachu’s different reactions. One moment early on saw a bothersome group of Aipom throwing hotdogs at Tim, with the ‘A’ button being needed to dodge them. This then saw the hotdog fly to Pikachu who comically ate it while talking about tomato ketchup (a reference for all the Poké-nerds in the room, there). If you didn’t press ‘A’, Tim was just repeatedly hit in the face with the food until you gave in and helped him – so a win-win situation, really. Despite the occasional hiccup in our guesswork, our play time hinted at a potentially easy overall difficulty. It seems that you will always be able to find out the information you need as long as you make sure to talk to everyone, checking to see if they have any new information whenever you walk by. Having an understanding of the Pokémon universe before playing will enable players to get through certain sections quicker, but newcomers should be able to find their way around just as well. One last interesting thing to note is that the first two chapters have quite a limited, linear feel to them, seeing you explore back and forth left to right through sectioned-off areas. Chapter three, on the other hand, seems to open the game up a little further, containing a corridor which points off to a selection of rooms with a map on the bottom screen making the whole thing look like a game of Cluedo. This area has much more of a traditional point-and-click feel to it, with the duo having to collect key evidence and information along the way. It will be interesting to see how future chapters behave in comparison. Overall we feel excited to continue our story in Ryme City. We're cautiously hoping that the difficulty steps it up a notch or two, maybe with the inclusion of some more new ideas, but we're looking forward to where the game will go from here. Being able to communicate with Pokémon in a completely new way, and therefore learning more about their feelings, quirks, and individual personalities may well be enough to sell the game to fans of the series already, but only time will tell whether or not the gameplay matches that standard as we progress. Make sure to keep an eye out for our full review in the coming weeks. Detective Pikachu lands on the 3DS on 23rd March. I know I'm picking it up. Same here. I already have the amiibo preordered but it might have to wait until April since I already have three other games to buy in March. I am picking this up definitely. I am definitely looking forward to this one. I am curious to see what Nintendo has planned, if anything, for the future of first-party 3DS retail titles. Could this be the last major one? This is the kind of game I don't miss getting. So I'm basically getting it because I don't miss getting these kind of games. I'll enjoy it, but even if there's only one to trade I'd trade three of these for Dai Gyakuten Saiban. That was more words than was necessary, because there were too many words. I'm sorry, which basically means I apologize. In this game, Pikachu is a "Coffee-drinking sass machine." @LemonSlice you talk like Lemony Snicket. Any estimate on how many chapters there will be in total? I played through the first three chapters when it first released on the eShop, and I'm curious about how much bigger the full retail game will be. For a novel eShop exclusive, it felt reasonably fleshed out, but things would have to branch out somewhat to persuade me to purchase the full retail game at full retail price. @Roam85 Perhaps why our names are similar, because that could be the reason why. @Mando44646 murder-focused board game also known just as Clue in the US. Would consider on Switch, but I don’t want to dust off my 3DS. @RyanSilberman Thanks. I couldn't find reference to it in the article, but I've just watched GameXplain's overview of it and that's the number they give. It's now a while since I played it, but tripling the length of the original should make for a reasonably full-feeling experience. It'll be intereredting to see how things develop from Chapter 4 onwards, as it's now been over two years since those original three chapters released. For many games, that's enough time for a full sequel to be made and released. A beautiful game, which shows that the 3DS has still potential!! "Cluedo" is the original British name for the boardgame "Clue". So I guess like this is going to be Nintendo's last 3DS game? 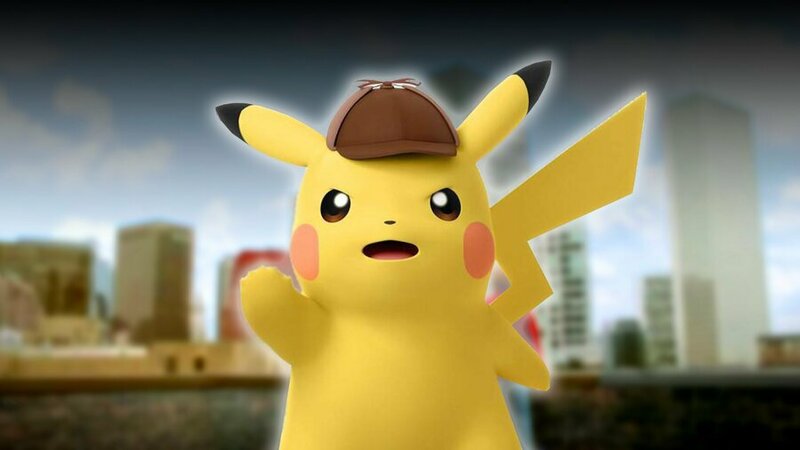 Pikachu wearing a detective hat confirmed for Pokemon Go! I actually still play my 2DS. Trying to nab some medals and headgear in Kirby Battle Royale, and I actually whole-heartedly enjoy the game (Ore Express is just bad though.) Oh yeah, and I want Detective Pikachu, it looks great. "This is... This is super spicy!" Does this game support Streetpass? It would be nice to see a surge in people out and about again since this might be the last major release for 3DS. With Japan shutting down relay stations I get the feeling that other areas will be announced soon. With all of the late 2017 and early 2018 sales for the 3DS it seems like a slap to eliminate features for a system that is still selling remarkably well. @JohnBlackstar I'm fairly sure the original version didn't have any streetpass functionality when it released two years ago, so I doubt the retail version will either. I'm struggling to think how you'd incorporate the feature into a a game like this. It's basically a self contained point and click adventure game (except without the pointing and clicking). @maxz i assumed it probably wouldn't, but I am so sad that I barely get Streetpasses any more that I was hoping a big game would revitalize it one last time before it is shutdown. My daughter is more bummed than I am about not seeing them any longer. She only got her system this year. Does the game play in 3D? I've been keeping an eye on this one. It scratches two of my itches (Pokemon and mystery solving), so unless something in the reviews doesn't click with me, I'll likely be getting this. My girlfriend and I very rarely preorder games (last one was BotW), but we made an exception with this one, including the amiibo. one of the best looking games on 3DS. I just don't understand this game's existence. In a good way, mind you - not "this is terrible", but "what deranged mind could have ever come up with this?". So buying this - just need to find the time. Super happy I got a N2DS for Christmas. Tons of games on my list!